Up to 2 hours (free) parking is usually available outside and in the streets near the centre. 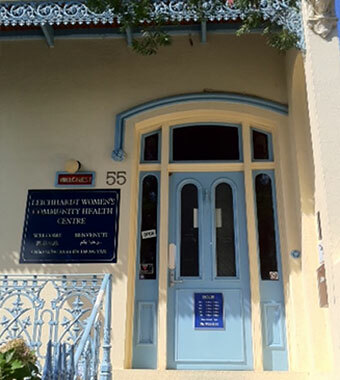 For Lakemba and Marrickville locations, phone us or see this website’s section on services/nurse clinics. For emergencies dial 000 or go straight to hospital. The After Hours GP Clinic in Canterbury Hospital, Canterbury Road Campsie (Hours: Monday to Friday 7pm to 11pm, Saturdays 1pm to midnight, Sundays 10am-midnight. The front door is up some steps. If you have difficulty walking up steps, let us know when you are booking your appointment. You can enter via the side gate in Cary Street by buzzing the door bell. Let us know though so we are expecting you. We are not a crisis counselling or drop-in centre. Our practitioners see women by appointment. Phone us to find out more or to book an appointment: 9560 3011. If you have an urgent medical condition, please go straight to hospital or dial 000.